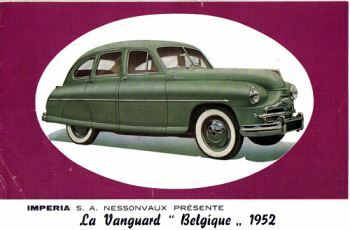 The new Vanguard "Belgique" sold at Frb. 111,000, with a better styled saloon body which is more elegant. These details are possible through the ingenious ideas of the department responsible for the body of the cars. The chassis of the open car is reinforced and lowered by 45 mm to improve the driving quality and the road holding. The back of the car get two separate wings in a more elegant form. The car is equipped by a multiple overdrive which could be activated without declutching. 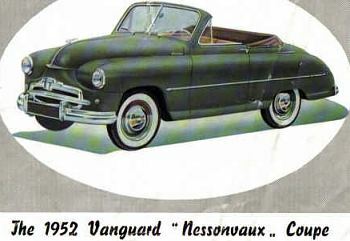 The car body is protected against rust by "Bonderizing". One could order the car with leather interior, wireless set and overdrive.